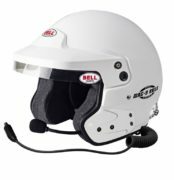 The BELL MAG-1 is manufactured from lightweight Fibre Glass composite with a Nomex lined inner padding for optimal safety. 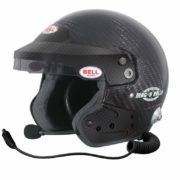 The unit is supplied with Bell’s Black anti-dazzle peak. 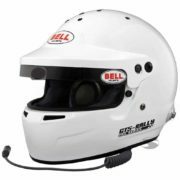 This Rally version of Bell’s popular MAG-1 Helmet features fully compatible Peltor intercom system. It has an adjustable boom for perfect positioning of the noise cancelling microphone. 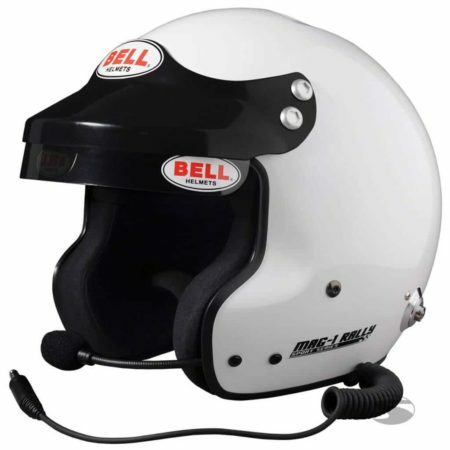 Ultra thin speakers are integrated in the helmet lining (inside ear muffs). Homologated to FIA 8859-2015 Approval (compatible for use with Frontal Head Restraint Systems). 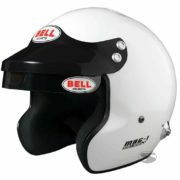 Supplied with factory fitted HANS Clips.